There's football tonight! No, no—not Tivo'd Las Vegas Bowl, though that was a good game—NFL football, where they wear pads and get paid. Watch it with us, talk trash about the family members you see once every year on Christmas (*cough*), count the many times Jon Gruden refers to Matt Ryan as "this guy" or tries to determine whether the Falcons are, finally, "for real." Also, Calvin Johnson is 182 yards away from setting a single season receiving record, breaking Jerry Rice's record from the 1995 season. 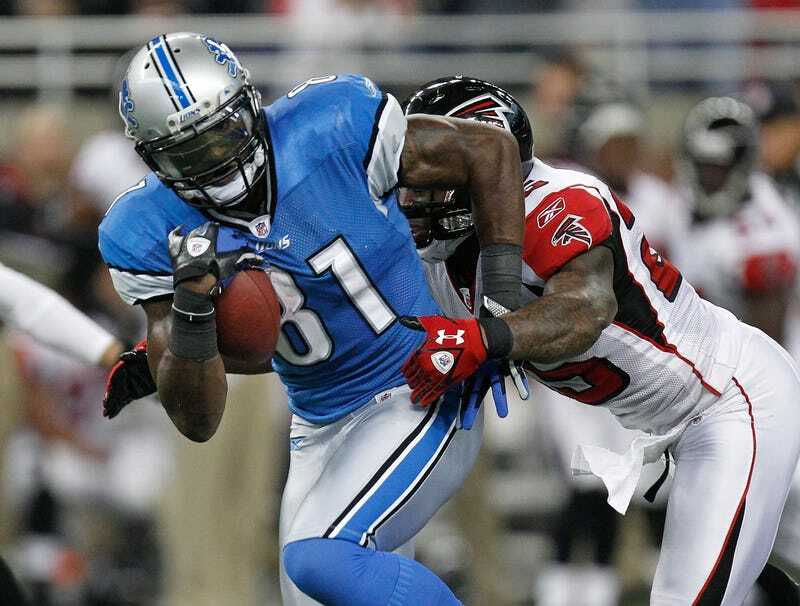 Megatron is averaging about 119 yards per game this season with a high of 207 in Week 10 against the Vikings, so all is possible. Discuss below.